One of the papers currently being floated around for discussion is the new Reference Rate paper. While no date is indicated for the paper to be effective, [Update : today it was announced that effective date by 2 January 2015] its implication will be significant to both the banking system in Malaysia, Islamic and non-Islamic. The main purpose of the paper is the way Banks price their financing product must now be different. Gone will be the Base Lending Rates (BLR) and Base Financing Rates (BFR), and welcome the new defined term; Prime Financing Rate (PFR). The intention is this; a lot of the things that go into the BLR/BFR are pricing related to risks, and these premiums are loaded into the base borne by customers. This leaves the margin (or customer spread) that is charged becomes somewhat “clean” as a return to the bank, with the exception of impairments (loan/financing defaults). In addition, banks earn “additional” returns from the “savings” built into the BLR/BFR itself. As a lot of risk premiums are built into the base rate, if these risks do not materialise, the bank technically “earns” this savings. You charge the customer in the base rate some premium for the expected risks, but you get the benefit for it. Ideal scenario. It is therefore no surprise that some good banks, that are able to manage their risks effectively, are pricing their financing at a base-minus rate. It is now common to see home financing packages being priced at BFR minus 2.0% p.a., and the BFR being 6.60% p.a., the pricing is therefore 4.40% p.a. In theory, taking into account the actual cost of funds, adding only the “necessary” premium to cater for risks that is beyond the bank’s control, the base-minus rate still makes decent money for the Banks. Therefore, even at 4.40% p.a., there is still room for the Bank to earn a margin, after deducting actual cost of funds. I believe the new Reference Rate framework aims to address this issue somewhat. As you can see, these components of the new Prime Financing Rate (PFR) leaves very little room for Banks to manoeuvre the rates. COF is market driven, based on interbank lending rates, while SRR is a regulatory requirement based on specific percentage. BNM know that these are the most rigid components to pricing, therefore this may be a deliberate composition selection by BNM aimed at institutions to re-think the pricing formula. And under the new regime of PFR, the following should no longer be built into the base rate. These costs, if the Banks want it, should be a part of the margin to the Banks loaded into the customers. These cost, if to be taken by the Bank, must therefore be part of the margin charged onto the customer. Customer will now know what components go into their financing i.e. The margin is now reflective of the risk the Bank perceive onto the customer. The higher the customer’s risk profile, the higher the margin can be. As such, the 2.50% p.a. maximum margin chargeable onto the base rate should no longer be applicable. As at January 2014, the BLR / BFR is 6.60% and at a margin of +2.50%, the maximum rate chargeable is 9.10% p.a. Under the new regime, the dynamics may now be different for example the PFR could be 3.90% and the margin +5.00% which adds up to 8.90%. In absolute terms it’s cheaper but the customer might balk at the +5.00% margin when they are used to +1.00% or even -1.00% margins. This is actually a good framework as Banks will have to be more competitive in pricing as the lower the margin, the more risks you are taking on your customers as the risk pricing is built into the margin. Additionally, the concept paper restricts the bank from quoting a price lower than the PFR, and this will make sense because it won’t eat into the Bank’s Cost of Funds. While you can have a BFR-2.00% (i.e. 4.60%), a PFR-2.00% won’t make sense as the PFR component, for example priced at 3.90% will give a net financing rate of 1.90%, and eats into the cost of funds. In short, the pricing for financing moving forward will be based on the creditworthiness of the customer. Any changes in pricing will be reflecting the changes in operating costs, portfolio defaults or funding strategies. It gives the Bank more flexibility to determine pricing based on agreed scenarios or specific events. This is a positive development. Banks now have the ability to decide on how to price a product based on real strategies and existing capabilities. Customers will have more transparencies in terms of what they are being charged. This will also spur competition among Banks, and provide better products and services to consumers, especially if the Bank gets its risk profiling right and able to effectively manage its default. All this will require a critical re-think on how a product profitability is determined, and a re-think of how the right management can provide a sustainable financing portfolio. Note: On the Deposit Rates requirements, there are not much in the Concept Paper itself. Most of the requirements on Deposits are captured under the various EDs such as Wadiah, Hibah, Wakalah and the Investment Account Concept Paper. The only notable mention on the Deposit Rates section is that for Basic Savings Account, returns should be paid irrespective of the account balance and shall not be lower than 0.25% per annum. Also, there is a clause that mentions for Islamic Current Accounts, any hibah/dividend payments should not exceed 2.00% per annum. 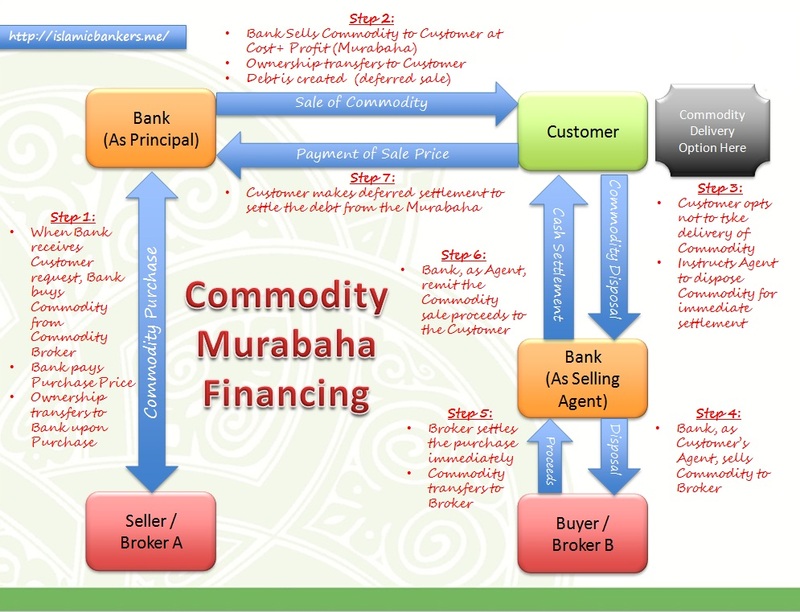 This, in my opinion, runs counter to the ED on Wadiah (which allows the Bank pure discretionary payment of Hibah, and therefore should not be governed by a capped rate) and the Investment Account Concept Paper (which states that the Bank must reward the customer dividends due to them, based on actual portfolio performances, therefore should not be limited to only 2.00% per annum). These point are against the spirit of Wadiah and Mudharabah, as well as against the Competition Act. We understand BNM is discussing this point internally after receiving industry feedback, and may consider removing this from the framework. We wait with bated breath for this framework to be properly issued. UPDATE : The 2.0% per annum maximum cap on the Islamic Current Account has been removed via BNM circular dated 20 March 2014. Indeed this puts us back on the right playing field with conventional banking.